You were flying in that field when it was just mud. Now it's cultivated. Around my parts, farmers get pretty irate when people trample their crops. You might want to meet that guy and find out if you can still fly there, now that your growing season is here. Your daughter may have been right. As far as video of my flight goes. *sigh* Who do you think wants it more, my friend? I found out I can't fly where I thought I was going to. Now I am not only waiting for the weather to coincide with a day off, I have to find a place to fly. The dirty field and this one are actually two different fields I ditched the dirty field because it always gave me hard landings plus I do prefer the green scenery. The new field does look cultivated on the videos but when you get close it doesn’t seem that way. Regardless the farmer didn’t say a word so I guess he was too enjoying to watch me with the kids having fun throwing planes in the air . I trust you are way more eager to go maiden the TT, however I figured that I need to kick you are with deadlines to see you fly . Why is the place you wanted to go to isn’t going to work? I love the TT and my SpiTTT too, because I feel I can fly them and not throw them in the air and wish for the best like with other models. Eventually there are a few planes I want to have available for flying all the time. **STOP** Thinking of it the list is long... to long to type on the way to pick some oranges with the family . The fields looked the same. I was watching you and your planes. That's my mistake. As for the farmer? I do not not know social norms where you are at, but here, I would need to meet him just out of respect for the fact that I am on his property. Just to introduce myself, apologize for the fact he didn't know I'd been here, explain what I'd been doing, and ask if it was OK if I continued to do it. The unused baseball field I was going to use for my first flight? Can't. It looked good from the road, not going to work. Closer inspection the other day revealed it's actually surrounded by a fence and multiple light poles, and the diamond was not in a field like I thought. It's actually closely surrounded by woods. Right outside the fence, surrounded by woods. It's rural South Carolina. Back when my family had horses, one escaped the fence. (Over the years, many escaped, but this a story of just one). I was trying to find it, before it got to far, and drove past a neighbor down their little dirt road in a rush to find the horse. I reached the end and my son and I fanned out through the woods. We found where he had apparently passed and jumped back in my car to head out and track him down on the next road over. As we were passing back by my neighbor's shed, he was standing outside of it. Calmly cleaning a very large pistol. He asked me what I was doing on his property, and very apologetically, I explained the situation. He very graciously agreed that my reasoning was sound, but perhaps I should ask permission, the next time I came onto his property. Moral of the story? Meet and ask. I've got a whole lot of that to do. There is not one spot of land around here that isn't cultivated, wooded, or has a house on it. Mayan, maybe that farmer would be OK with you playing with your children in his fields. That's a whole lot of field, and what a child could trample is pretty small. You won't know if you don't meet and ask, though. Well because I managed to get a wing airborn which just gave me a drive to fix or rebuild it . All the pieces are already cut out all that is left to do is rebuild tonight during my night shift. Wishing myself a calm shift so I can build . That's never good. Hope she's ok.
Yeah sort of. She was released after her saturation leveled back to normal and lung X-ray was clear. Barely got to sleep during the night because we came back at around 5am and woke up at 6:30am to take the kids to school. Think I have to build something otherwise I might fall asleep which is no good at this time of the day. 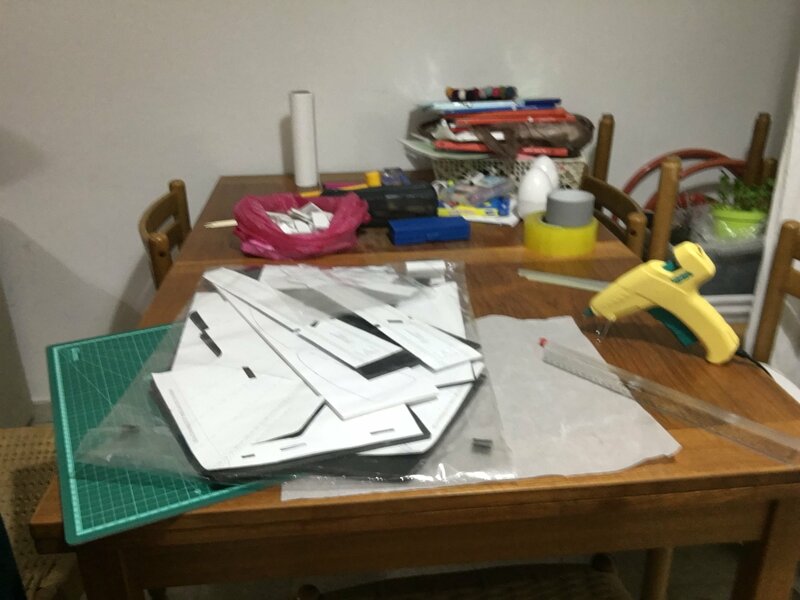 Sitting down to build myself a new Mini Arrow. I need to do that too. Mine is totally worn out. If this one suffers the same fate as it predecessor I would recommend that you try a KFM wing first to get the fingers dialed in and then build a third one to enjoy. The LE is effectively 3 layers thick from the LE to the first step, (almost 100 mm). It can absorb all but the most extreme of accidents and continue to fly! 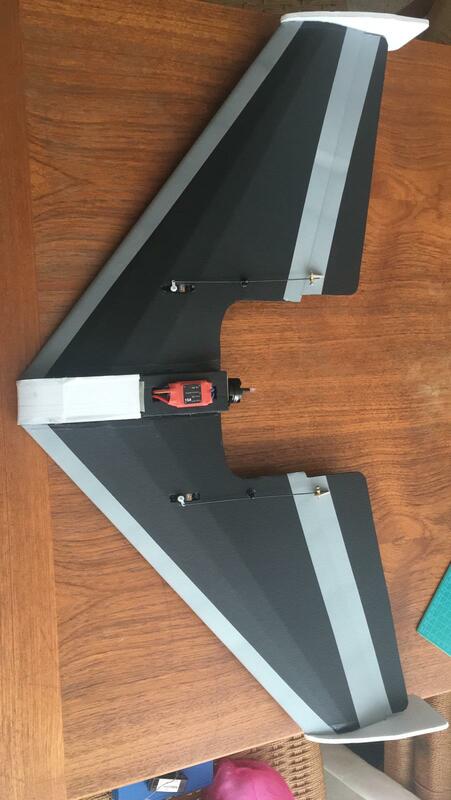 See - https://forum.flitetest.com/index.php?threads/my-kfm-wing-build.56868/page-2 Post #23 jross latest post at this time! Just a thought and besides if done well it will last long enough for your kids to learn on! My new Mini Arrow . Waiting for a good day to maiden. Your advice is solid gold like always. If I break the new Mini Arrow hoping I won’t I’ll definitely build this version untill I learn to fly this type of airframe. This time go really high before correcting the direction or trying to trim, your radio has a range of at least 500m, if it’s working right up to a Km, so height isn’t a problem. Range test if you are unsure about how well it’s all working. You had the launch really good last time, it looked like if you had kept climbing you might have stayed up longer.